The Marlin Room (Coconut Grove).- This room is ideally suited for the corporate planner, as well as the social host. A waterfall pre-function foyer greets our private event room and accommodates 30-175 guests. 4 Great Locations Water view. 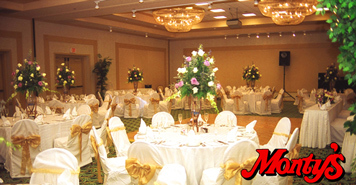 Monty's offers Luxurious and Elegant accommodations for weddings, special parties, and important social events. 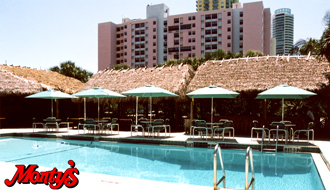 Monty's Miami Beach, Coconut Grove, Boca Raton and Key west.